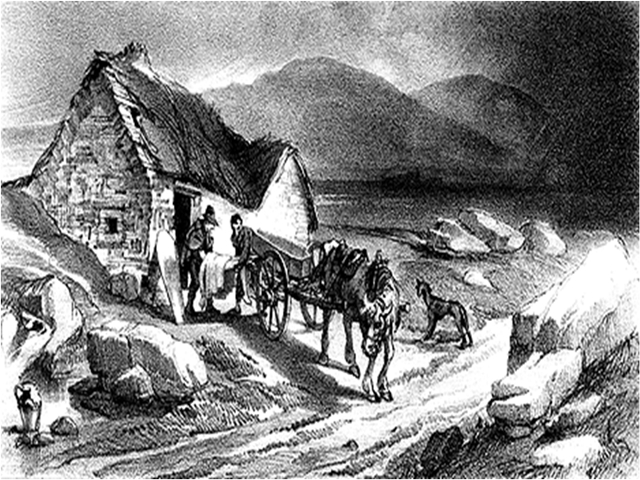 Prior to 1845 successive British governments grappled with the problems of governing Ireland. They launched no fewer than 114 commissions and 61 special committees that would conclude their work with prophecies of disaster; “Ireland was on the verge of starvation, three-quarters of her laborers unemployed, housing conditions appalling, and the standard of living unbelievably low.” Yet the solutions they proposed were as appalling as the conditions. In these dark times Ireland was changed forever. It was a harvest of subjugation and the devastating impact would be felt for generations. When Irish friend Conor joined us for a day this summer he reflected that his was the first generation that could really breathe since the famine. It was during these dark times that aid for the Irish people would come from a most unlikely source.